Notas dadas pelos hóspedes depois de sua estadia em: Parador Vallescondido. Garanta um preço incrível para Parador Vallescondido - avaliado como nota 9,6 pelos hóspedes recentes. Cesar the ownwer's son was incredibly helpful. Always available, booked a tour for us, answered all questions. 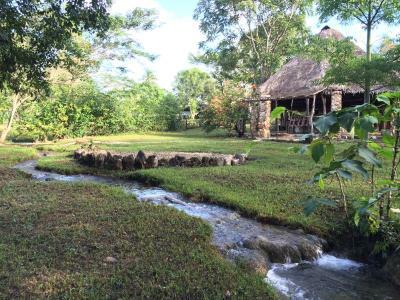 If you plan to see Bonampak & Yaxachilan, this is THE place to stay! Cuts hours off a really long day. 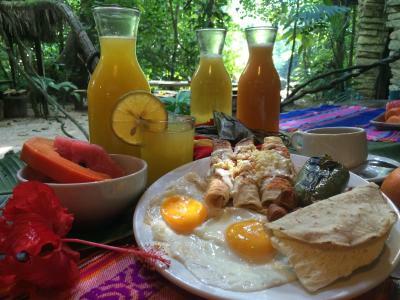 Breakfast is plentiful, dinner is too, and well cooked with fresh vegetables. This place is beautiful! 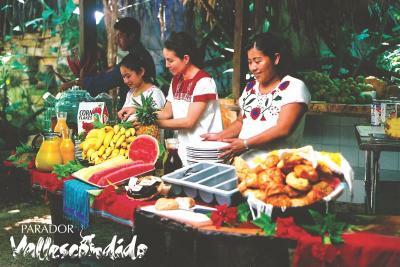 The ranch is tucked away in the jungle atmosphere of Chiapas an hour or so from Palenque. 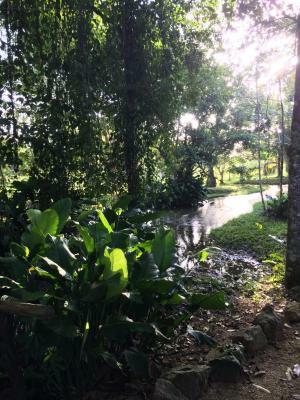 Close to the sites of Bonampak and Yaxchilan and beautiful waterfalls. The room is spacious and clean. 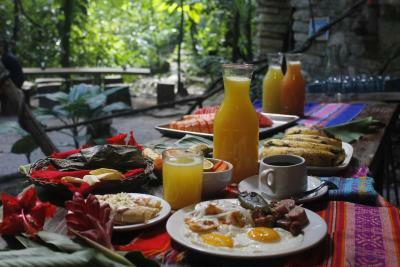 They serve an excellent menu with local foods and a good breakfast. What we liked best of all was the host Cesar and Hugo as well. Thank you for everything! Staff helpful and friendly. Room comfortable and nice food. 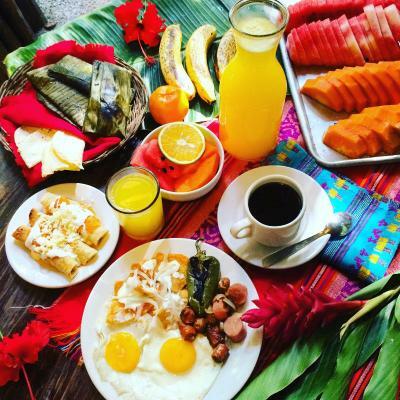 We were able to get straight off the night bus that arrived in palenque and onto a tour to Bonampak and yaxchilla that day that dropped us at our hotel on the way back. We booked it as we arrived in the bus station, the town was a short walk across the street where there was a tour office open, the tour left at 6.30am. We got back to the hotel about 7pm. 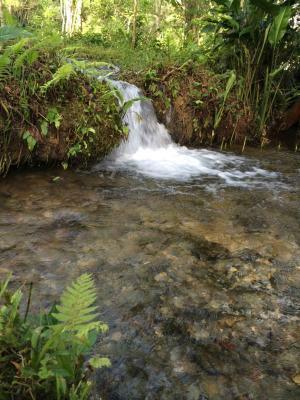 This saved an hour travel time as the hotel is an hour from palenque on the way to Bonampak. Cesar and the staff were so wonderful! They did everything to make our stay perfect. 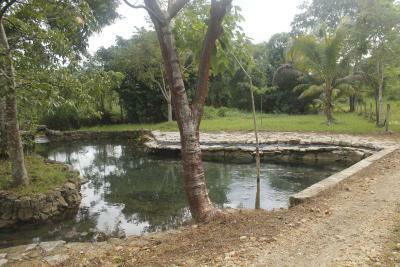 We also loved the natural swimming pool. Caesar, one of the owners, made sure our stay was perfect. We had dinner with him both nights, and he was a gracious and wonderful host. We would recommend this place to anyone! Greatly exceeded our expectations on every level. Excellent point de départ pour parcourir la région. Chambres spacieuses et agréables, cadre magnifique. Cuisine locale délicieuse et ambiance familiale. Tout le monde était aux petits soins durant tout notre séjour. Hele ruime kamer met een zalige douche. Ruime locatie om in rond te vertoeven. Het restaurant (ontbijt) is aan de overkant van de straat, maar dat vormt geen probleem. Eten konden we ter plaatse. Geen uitgebreide kaart, maar wel voldoende voor 2 dagen, ook met kinderen. 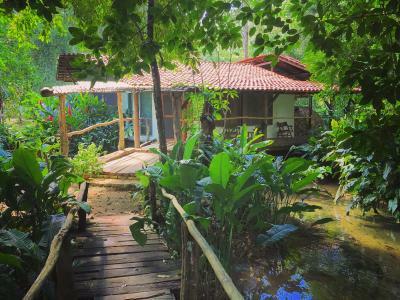 Peaceful and beautiful jungle retreat. Extremely warm welcome. The restaurant is excellent: we had all our meals on site. Spacious rooms spotless and stylishly decorated with upscale materials. Wonderful shower. 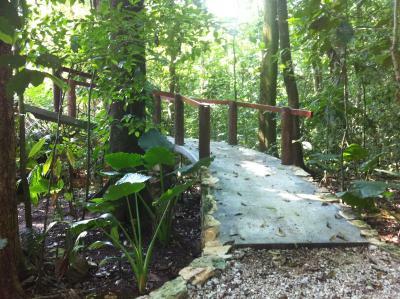 Beautiful grounds well maintained with great birding opportunities. Organized trip to Yakchilan. 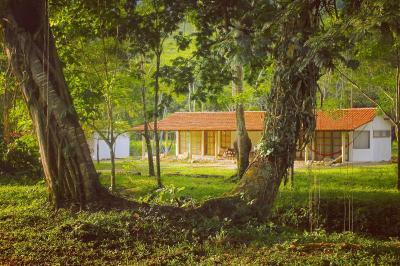 Best place to stay in Chiapas ! 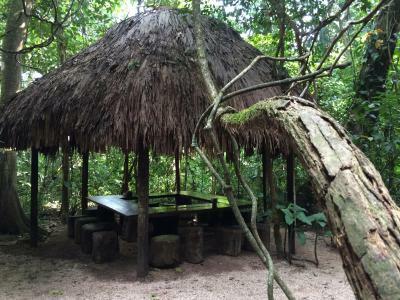 Il posto è collocato in ottima posizione per visitare agevolmente i due siti di Bonampak e Yaxchilan, inoltre è facilmente raggiungibile ed è inserito in un ambiente naturale bellissimo. Lo staff è molto cortese ed affabile. Sono disponibili e preparati a dare utili suggerimenti. Il cibo è semplice, ma di buona qualità. Le stanze sono molto ampie e, anche se semplici, sono davvero confortevoli. Possibili passeggiate a cavallo nella struttura. 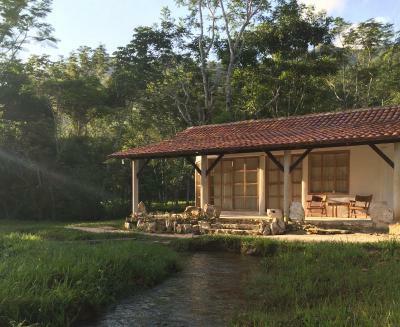 Localizado a 60 km do Sítio Arqueológico de Palenque, o Ecolodge Resort Yokib oferece jardins exuberantes e quartos elegantes com banheiro privativo. Você pode nadar nas piscinas naturais formadas por 2 riachos nas proximidades. 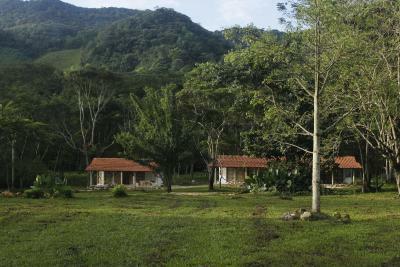 Rodeado por uma floresta tropical, o Ecolodge Resort Yokib foi construído em estilo rústico tradicional, com madeira local e calcário. Todos os quartos incluem ventilador. O restaurante Valle Escondido oferece café da manhã e almoço. O café da manhã inclui frutas da estação, cereais, café e ovos. Na alta temporada, há também um serviço de bar. 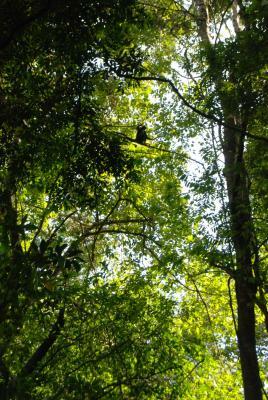 A floresta circundante é ideal para trilhas a pé e observação de pássaros. O estacionamento gratuito está disponível no local, e a cidade de Palenque fica a cerca de 1 hora e 20 minutos de carro. Essa acomodação também tem uma das localizações mais bem avaliadas em El Caobano! Os hóspedes estão mais felizes com ela, em comparação a outras acomodações na região. Esta acomodação é avaliada pelo melhor custo-benefício em El Caobano! O dinheiro dos hóspedes vale mais, quando comparado com outras acomodações nesta cidade. Parador Vallescondido tem recebido hóspedes da Booking.com desde 6 de ago. de 2012. Quando você quer se hospedar no(a) Parador Vallescondido? 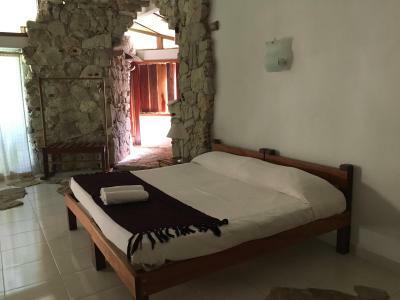 This elegant room includes 2 double beds and a traditional rustic design, including local wood and limestone. It offers a fan and a private bathroom. This elegant room includes a king-size bed and a traditional rustic design, including local wood and limestone. It offers a fan and a private bathroom. This elegant room includes a single bed and two double beds. It offers a fan and a private bathroom. The room offers views to the garden and the mountains and has a terrace. This room includes a king-size bed and two single beds and a traditional rustic design, including local wood and limestone. It offers a fan and a private bathroom. The room offers views to the garden and the mountains and has a terrace. Bom saber Parador Vallescondido aceita pedidos especiais - adicione no próximo passo! Please note that a deposit via bank wire or PayPal is required to secure your reservation. Parador Vallescondido will contact you with instructions after booking. Por favor, informe Parador Vallescondido com antecedência sobre seu horário previsto de chegada. Para tanto, você pode utilizar o campo de Pedidos Especiais ao fazer a reserva ou entrar em contato diretamente com a propriedade usando os dados informados na sua confirmação de reserva.